What I love the most about my home is who I share it with. 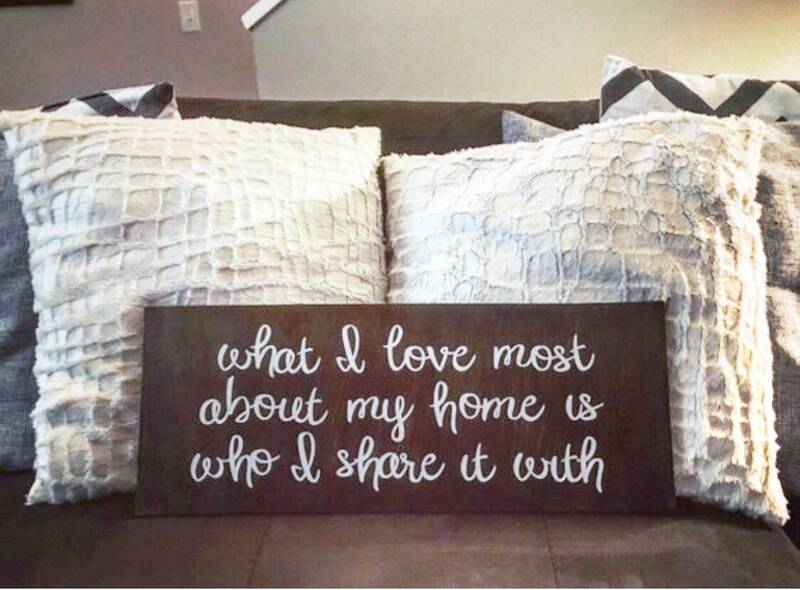 Handmade wood signs stained with a dark wood finish. If you are looking for a different saying or adjustments to the color and style please place a custom order and we can work together to make what you need.